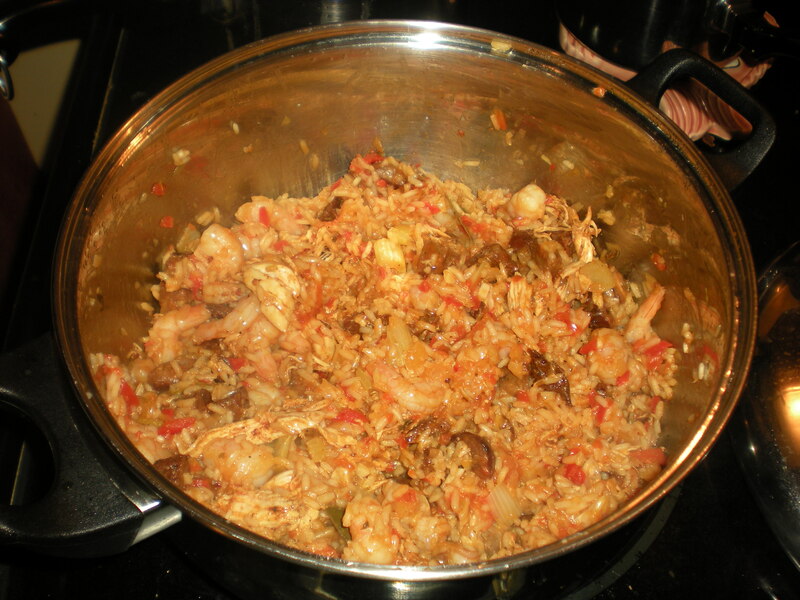 What better way to enjoy Fat Tuesday (and think about what I’ll be giving up Wednesday) than with a big pot of jambalaya? This dish wouldn’t be complete without the addition of shrimp, chicken, Patak andouille and a sinus-cleansing dose of cayenne. Next time I make this, I’ll double the recipe — there was barely enough for the two of us to have leftovers for lunch! 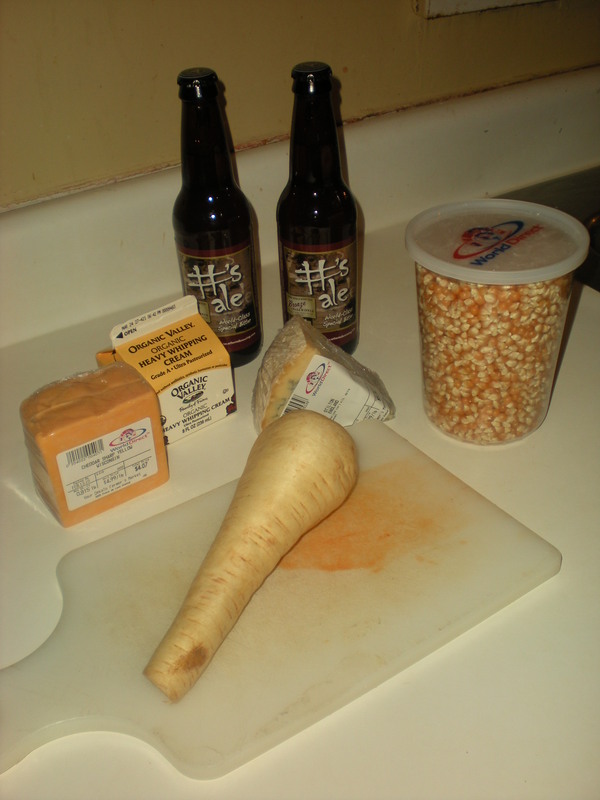 If I was ever on that show The Best Thing I Ever Ate…Soup this recipe would be the best Beer Cheese Soup I’ve ever eaten. Quite possibly the best soup, period. I can’t wait to make this in football season. (The Spicy Popcorn Garnish will really wow your soup eaters :0) Thanks Emeril! Heat butter in a pot. Add parsnips, onion and celery and cook until tender, about 12 minutes. Add garlic and cook 1 minute. Sprinkle flour over veggies and cook 3 to 4 minutes, stirring constantly. Gradually whisk in broth and beer. Add bay leaves and cayenne. Simmer, stirring often, for one hour until the soup cooks down. Add heavy cream and cheeses (slowly) and stirring constantly. Season with salt and pepper to taste. Serve hot. Garnish with Spicy Popcorn Garnish. Heat oil in a pot and season with a pinch of cayenne. Put one corn kernal in the pot at the oil heats. Once it pops, add the remaining kernals. Cover pot with lid as popcorn pops, about 2 minutes. 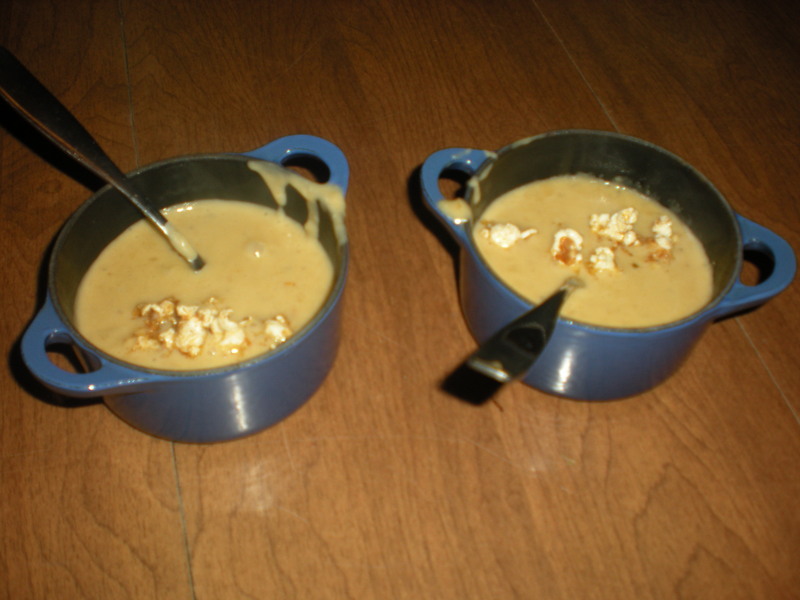 Toss popped corn in a bowl with remaining ingredients and serve atop soup.